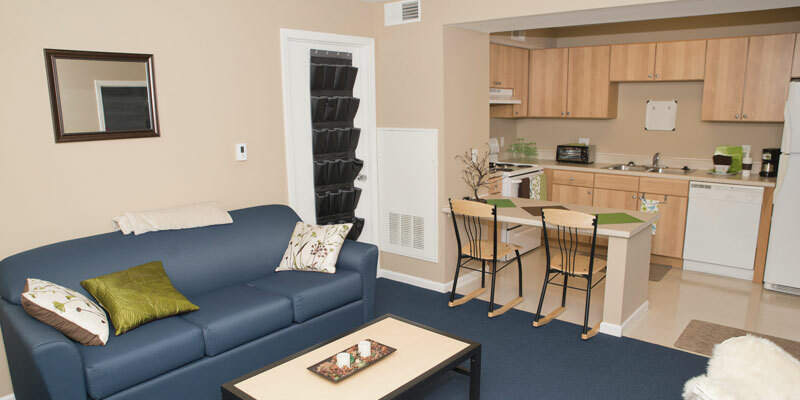 Our on-campus housing gives you options! You can choose from a variety of floor plans including private studios, 2- or 4-bedroom fully furnished apartments. Living on-campus will also give you immediate access to classes as well as the community sport court, swimming pool, and private events held just for residents.